Alchemy is like a thin line suspended between the esoteric and philosophy, physics and religion.It is an unstable structure founded on its own symbols interwoven with infinite recurring relationships, there to find a hope for an eternal life, or a savage philosopher‘s stone. The alchemical process revolves around “transformation”, the will to change shapes and materials through three fundamental stages. 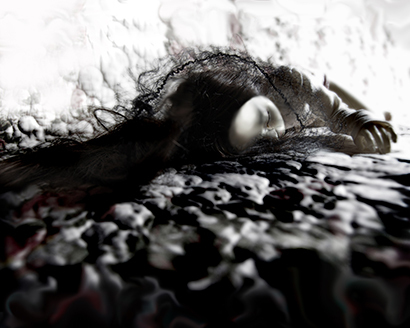 The first stage is the Nigredo, crucial point at which the matter dissolves to open itself to change, an obscure purifying moment that Carl Gustav Jung compared to the encounter between the unconscious and conscience, the confrontation of conscience with its own shadow. Art is in its nature a creative alchemy, a process of transformation of matter and images through a structure of symbols, because humans are “symbolic animals”: the human mind discerns thoughts through the placing and the ordering of “symbols”. 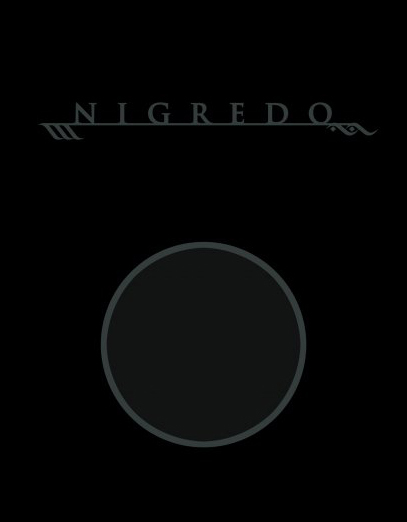 The Nigredo in art is the starting point of a new imaginary material, a new shape which lends itself to the research of the perfect artwork, the true philosopher’s stone of every creative instinct. The Nigredo project is a Barbara Collevecchio’s idea, curated in collaboration with Lori Adragna, and Micol Di Veroli, exhibiting 30 international artists that through their experiences show to the public the beginning of the creative process, a mystic and purifying moment in which pain and determination mix together like esoteric formulas to give life to new visual creations. We have selected the most significant artwork specifically created for this exhibition: there will be paintings, sculptures, installations, photography and video-art, in a perfect balance between intellect, emotions and creativity. This show will also present a series of correlated happenings of experimental theatre, poetry, electronic music, and fashion. Adalberto Abbate, Barbara Agreste, Andreco, Matteo Basile’, Angelo Bellobono, Zaelia Bishop, Umberto Chiodi, Laura Cionci, Pierluigi Febbraio, Massimo Festi, Octavio Floreal, Tommaso Garavini, Tiziano Lucci, Federico Lupo, Jara Marzulli, Masbedo, Elena Monzo, Serena Nono, Davide Orlandi Dormino, Max Papeschi, Paola Parlato, Guido Pecci, Gabriele Pellegrini, Francesca Pennini, Cristiano Pintaldi, Marco Rea, Francesco Sambo, Silvia Serenari, Fernanda Veron, Fiorenzo Zaffina.